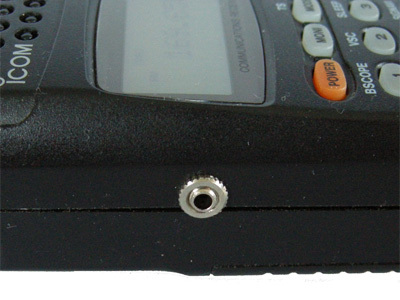 The Icom IC-R10 is a broadband receiver with a frequency range from 0.5 to 1300 MHz. 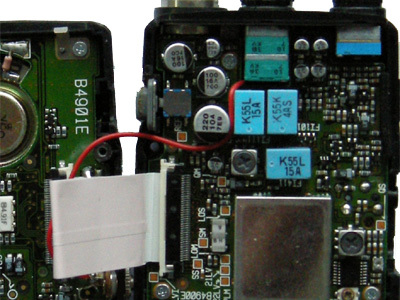 The Icom R10 contains two TA31136 FM receiver ICs. The 31136 which is visible when the scanner is opened, is the broadband FM (WFM, broadcast) receiver IC. The narrowband FM IC is situated on the back of this receiver board. 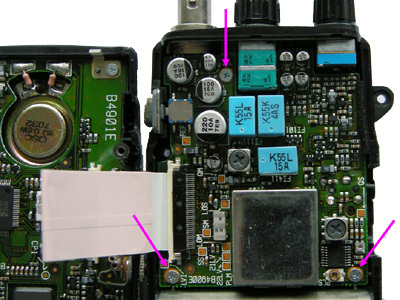 To reach the NFM receiver IC, the receiver circuit board needs to be detached by removing three screws. 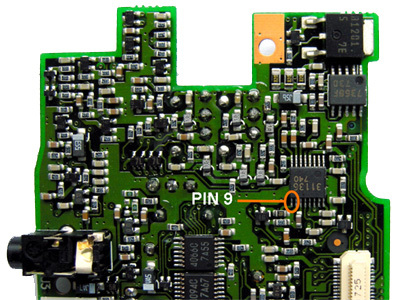 The baseband audio can be found on pin 9 of the TA31136 on the backside of the circuit board. 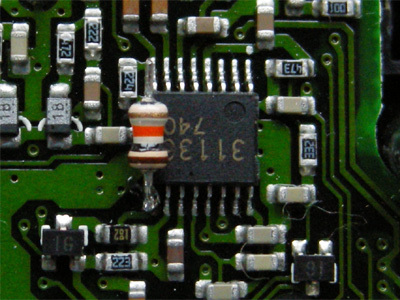 A miniature (1/8 W) 10 k resistor is soldered to pin 9. A piece of insulated wire is soldered to the other lead of the resistor. There is not much clearance for a chassis socket. That's why I used a miniature 2.5 mm socket. The socket's ground contact can be connected to the ground of the circuit board below. The wire running from the 10 k resistor is connected to the socket's other contact.